The foggy mornings and early sunsets have recently had me reaching for the cosiest knits in my wardrobe. Now that we're finally in November, I feel like it's finally acceptable to reinstate my collection of Christmas jumpers into regular rotation, but we're not talking about full on cheese just yet. Fair Isle prints are a great option for Winter warmth minus the cartoon penguins. and online brand Wool Overs have a beautiful selection of classic and stylish holiday wear. Unisex Zip & Button Nordic Cardigan - £50. Each of the designs come in a range of colour ways, with sizes up to a UK 26. 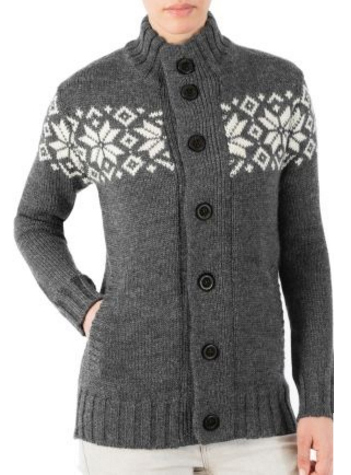 The Zip & Button Nordic cardigan features a pretty snowflake design, and is both soft and hard wearing and cut in a very loose and generous design. It's great if you want to wear lots of layers underneath without feeling suffocated, and has a high neck to keep toasty warm. Lambswool Fair Isle Cardigan - £40. 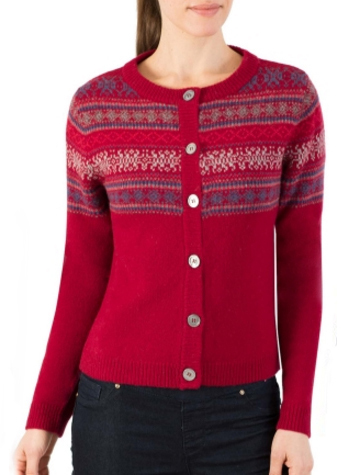 The Lambswool Fair Isle cardigan is a really pretty option, and the perfect item to throw over jeans or a cute dress. It has a nostalgic nod to traditional Christmas jumpers, but is modern enough to not come across as kitsch. Made from 100% chunky Lambswool, it comes in a huge variety of colours and is even machine washable too. Soft and chunky, this is perfect for snuggling into without being too heavy. 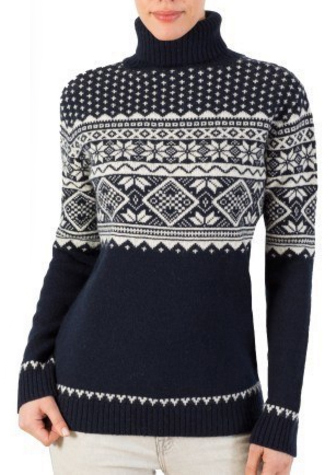 Unisex Fair Isle Polo Neck Jumper - £45. Like the Nordic Cardigan, the Fair Isle Polo Neck jumper comes up really big so if you like your knits loose and ready for layering, this is the perfect choice for you. Available in several colours, this long sleeved polo neck is ideal for those colder months where you want to feel really wrapped up. Whilst the tacky Christmas jumper certainly has a place, most people prefer to hold back on the dancing reindeers until it's a little closer to the big day. But if like me, you start feeling festive the day after Halloween, Wool Overs' Christmas jumpers offer the perfect, stylish stop gap. I have been determined to get a really good Nordic cardi for the past few years, but never find exactly what I have on my mind. Maybe this year is the year! The Button nordic cardie is really pretty! But ill admit in very ba-humbug and dont wear anything x-mas related.